Bird Watching: Can Jedd Gyorko Rescue the St. Louis Cardinals from Themselves? With the upcoming “May the 4th be with you” shenanigans just around the corner, this time of year always brings references to Star Wars moments. Social media sites are buzzing with tidbits and treasures from comic cons and panels discussing the upcoming movies, and twitter feeds are full of references to famous quotes and memorable scenes from a galaxy far, far away. Here’s one that comes to mind. I imagine that’s John Mozeliak and the St. Louis Cardinals’ front office right about now, but instead of a Jedi in brown robes whose time spent saving the galaxy is coming to an end, he’s speaking directly to newly-deployed third baseman Jedd Gyorko. And the job before him – saving the Cardinals’ offense – is just beginning. Gyorko went 3-for-3 with a home run and a walk last night in his first start at third since the supposedly-infected Jhonny Peralta hit the disabled list. That performance raised Gyorko’s slash line to .294/.385/.647 with three home runs in just 34 at-bats. Assuming Peralta’s silent exit makes Gyorko the every day starter at the hot corner, those numbers are good enough to lead the other seven starting position players…in Every. Single. Category. His batting average is number one. His on-base percentage, despite sharing a lineup with two of the best in the business (Matt Carpenter and Dexter Fowler), is number one. And of course, his slugging percentage is number one. Only his home run total is matched by the infielder immediately to his left, Aledmys Diaz (3). Why wasn’t this guy starting before? I’ve spent some time addressing that here and there in a couple of posts this past week, but let’s be honest – the real reasons are simple enough. John Mozeliak wanted to believe the $10 million dollars he’s paying Jhonny Peralta this season wasn’t going to waste, and manager Mike Matheny, perpetually afflicted by an overindulgent case of loyalty, badly needed to believe his veteran infielder had more left in the tank. Mozeliak’s wishful thinking and Matheny’s delusions may have cost the Cardinals a postseason spot. They certainly cost the team any production whatsoever from third base in over a week (eight games), a time when the St. Louis roster was begging for runs from any spot in the lineup while losing enough games to secure their worst start in nearly half a century. 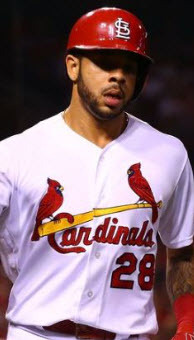 Peralta leaves the Cardinals’ clubhouse without driving in a single run, recording even one extra-base hit, and crossing the plate to score just once in 27 plate appearances. St. Louis, in the meantime, lost five games by two runs or less – three of them by one run – and in all of them, Peralta started at third base, never hitting lower than seventh and often hitting as high as fourth or fifth in the order. The rest of the Cardinals’ offense certainly doesn’t get a free pass. This season, very few hitters are hitting at all right now. But when a player like Peralta logs 20 at-bats hitting fourth, fifth, and sixth in the order, his production is going to stand out. Those lineup decisions are on Mike Matheny. He stubbornly stuck with Peralta at third, and in a meaningful spot in the order, while his team floundered. Matheny has some apologizing to do. He clearly let the rest of his guys down. But the blame is not his alone. Jhonny Peralta hasn’t been good for a long time, not since the second half of 2015 when he slashed .243/.306/.325 with just four home runs after the All-Star break. John Mozeliak had to see this coming, and yet he did nothing to address it over the offseason. He didn’t seriously pursue a third baseman, first baseman, or any bat capable of hitting in a traditional RBI-spot in the lineup at all. And he was complicit in that ridiculous and transparent third base competition in spring training between Gyorko and Peralta, allowing Matheny to break camp with Peralta as the in-stone starter at third. 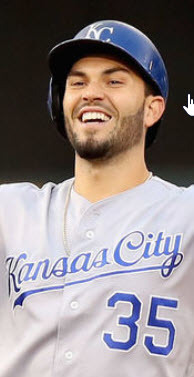 If he hadn’t succumbed to mounting pressure from his ticket holders and had that little “come to Jesus” meeting with Matheny last Monday, I have no doubt Mike would still be trying to “get Jhonny going” with high-leverage at-bats. Mike let this team down, but Mozeliak left them exposed. And now they’re turning to Jedd Gyorko to save them all. To be clear, Gyorko is no offensive savior. He’s a power hitter who swings and misses a lot, and his showing in Miller Park is not an indicator of things to come. But it is a sign. It should be a sign to Mozeliak that this team, even in a loss, stands a better chance of scoring runs when they have a potent bat at the hot corner. 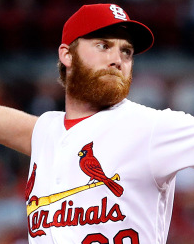 It should be a sign to Matheny that anyone – Greg Garcia, Matt Carpenter, or Gyorko – gives this team a better chance to win than Jhonny Peralta at this stage of his career. And it just might be a sign to Cardinals fans that this St. Louis offense finally, mercifully, has a chance to turn things around. The Cardinals lost last night, sure, but for the first time since Opening Day, the lineup carried with it something we have yet to see. The expectation of run production. That, more than any player on the roster, is directly attributable to Jedd Gyorko at third base. 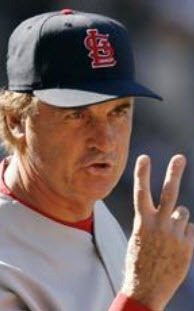 Hopefully, his bat hasn’t arrived too late to save Mozeliak and Matheny from themselves. Can someone please tell Dexter Fowler to draw some walks? The leadoff hitter for the Cardinals, a media-styled on-base monster, has drawn just five walks in the entire season. 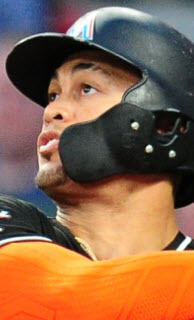 In his last 11 games, he’s posted 46 plate appearances with seven hits and two home runs (both in the same game)…but just one, single, solitary walk. That must change if the Cardinals are going to be successful offensively. Their entire lineup is built around getting Fowler and Aledmys Diaz on base in front of Matt Carpenter and Carpenter on base ahead of Stephen Piscotty. Watching some at-bats via Gameday last night, it seems pitchers aren’t helping him much, filling the zone with strike after strike after strike. Obviously, pitchers are more comfortable making Fowler hit his way on than they are letting him work their pitch counts. But Dex isn’t helping himself much either, swinging away more often than not and trying to put the ball in play every at-bat. He needs to calm down and work the count, take some walks, and focus on getting himself in position to score for the bats behind him. If Adam Wainwright gets shelled tonight, it’s time for the Cardinals to consider spot-starting him until he gets things figured out. 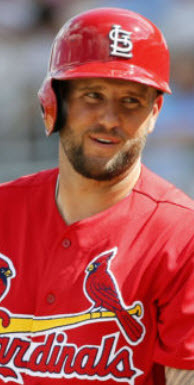 Last season, Wainwright allowed 22 home runs and a .446 slugging percentage in 33 starts. 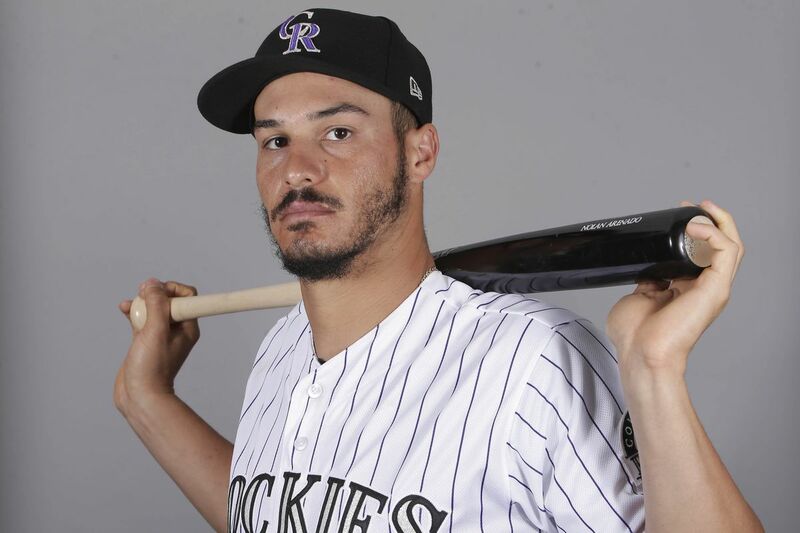 In just three starts in 2017, he’s off to exactly the same home runs allowed pace, and he’s allowed hitters to post a .590 slugging percentage (SLG). That SLG is ranked 74th out of 82 National League starting pitchers this year. Continuing to start him in homer happy ballparks – Yankee Stadium, Miller Park, Great American Ballpark, Wrigley Field, etc. – is ridiculous. Now that Tyler Lyons is on the roster, St. Louis has the ability to skip their ace and start him in more forgiving parks so he can last longer, throw more pitches, and solve the riddle of his aging arm. I don’t know what’s going on with Carlos Martinez, but where is Yadier Molina in all of this? Rob Manfred’s stupid comments aside, Molina’s visits to the mound and his ability to handle pitchers like the young and fiery Martinez is a significant reason the Cardinals were so generous when they extended him for another three seasons. 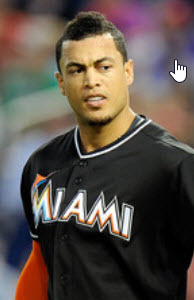 It’s time for him to grab Carlos by the buttons on the front of his jersey and talk some sense into him.